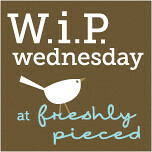 alidiza: W.i.P Wednesday: Whole Lot of Quilting Going On! While I generally prefer piecing this week has been all about quilting! Monday I went to Laurena's Longarm and quilted my Hello Luscious Twister. Thank you so much for all your encouragement to keep going on my Verna Chain Reaction. 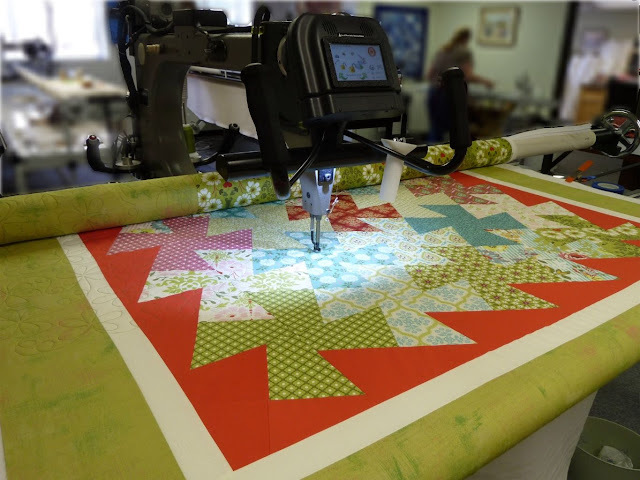 So many of you left comments, the quilt blogging community is so great! I'm so close to being done with this!!! I've got 5 of the 6 rows quilted: ) My goal is to get this finished by Friday so I can tack the binding while we drive to Maine for the holiday weekend. And I finished quilting the last of the these friendship star blocks. I still have to quilt the borders but I think they'll go much faster than quilting each individual blocks! What wonderful work you are doing!